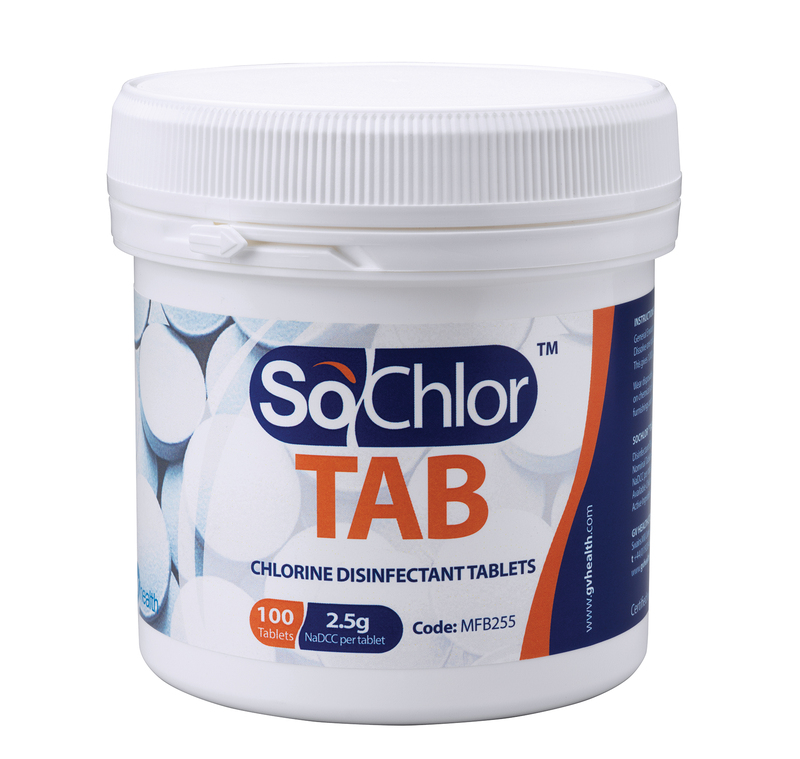 SoChlor Tabs, chlorine tablets are used to deliver the correct strength chlorine solutions for disinfection of blood spills and general environmental disinfection. Because the chlorine based solution is made up on-the-spot as required there are no transportation, storage or contamination issues normally associated with hazardous and naturally unstable hypochlorate solutions. Chlorine tablets are stable, compact and easy to store for longer periods until required for use. So Chlor tablets are dropped into water in the diluter bottle, dissolving easily, rapidly and safely. You only need to make up the exact quantity required for each job thereby reducing waste. SoChlor Tabs are formulated using Sodium Dichloroisocyanurate (NaDCC). Chlorine solutions made from NaDCC are effective when deployed on organic matter such as blood and other body fluids.